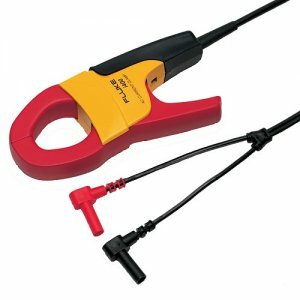 Fluke Current clamps are the ideal tools to extend the functionality of Fluke tools. The i400 is a single range 400 A ac current clamp with current output via safety shrouded banana plugs. The clamp is compatible with most Fluke multimeters or any other current measurement device that accepts 4mm-shrouded banana plugs and has an AC milliamp range. The division ratio is 1000:1.